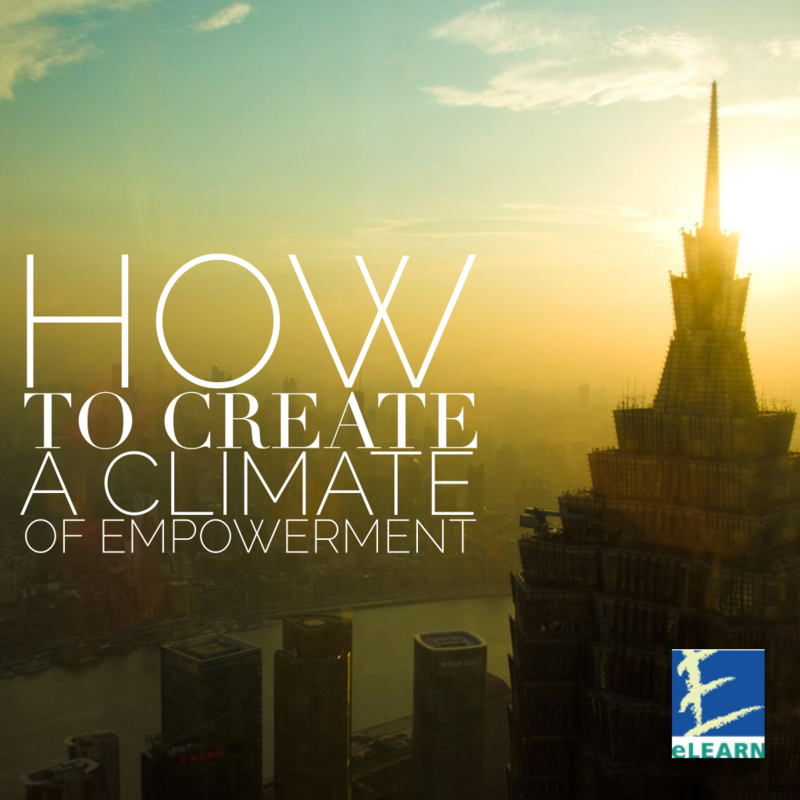 There are six essential aspects to creating a climate of empowerment. The starting point is your own attitude towards the people in your team. You need within yourself, to feel positive about your team members, to know their stengths and believe in their capabilities. You need to be able to show that you value them in the way you behave and the things you say. People can only do the work you delegate if they have the skills. This means you must give real importance to learning in your team. Clearly, part of this is likely to involve formal training, but there is also a huge amount that you can do to help your team learn, by coaching. Indeed, delegation is an ideal opportunity for coaching. If people are to get on with their work, they need support. This support can come from you or other team members. it involves enabling or encouraging people to to ask questions, try out ideas or ask for help. It involves allowing people to admit mistakes, without fearing blame. Above all, it involves giving people credit for what they achieve. Delegation also depends on building a climate of trust, openness and communication. You can do this by opening up, being consistant and objective, following up on what you say you will do, admit your failings and giving ownership to your team. All this can only work if you are consistant. When you delegate work, people need to know that they can get on with it without constant chopping and changing. To succeed in empowering your people, you must be able to devolve real responsibilty – but it does mean letting people get on with work, take decsions and solve problems. Elearn offers a range of self study courses that are designed to develop and help you make an impact at work and enhance your career. We offer CMI and ILM levels 2-7 in Leadership, Management and Coaching.